I go to the grocery store a lot. We’re talking three to four times a week. Even more depending on the week. 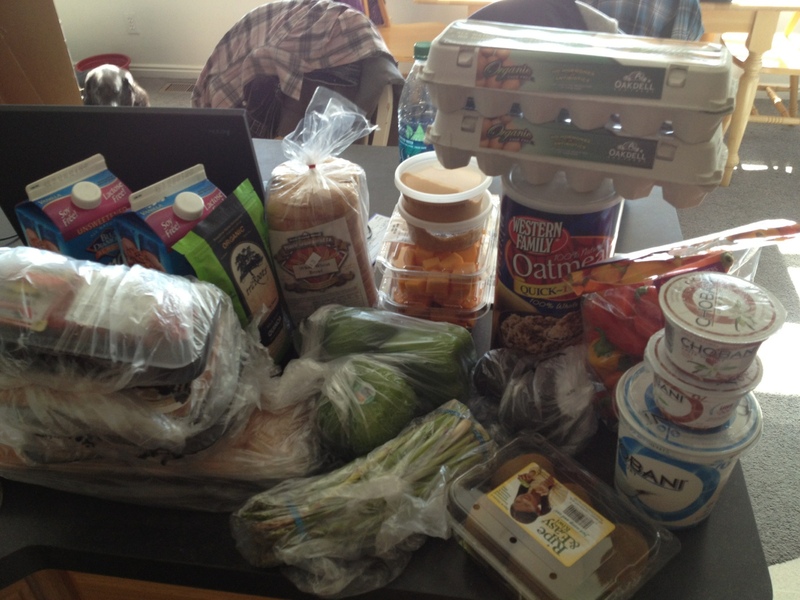 I used to do the once a week thing, but in my quest for clean eating, I find myself shopping more often. Why? Usually it’s because I hate buying a bunch of asparagus on Saturday and not cooking it until Thursday. Weird, I know. Anyway, here’s what a trip to the grocery store looks like: steak, chicken breasts, ground chicken breasts, chicken sausage, eggs, greek yogurt, oatmeal, quinoa, fresh ground peanut butter and almond butter, asparagus, peppers, butternut squash, avocado, kiwi, local whole wheat bread, organic tomato sauce and almond milk.